Charlotte Flair And Andrade Have Their "Coming Out" This Weekend (Video) - Wrestling Inc. 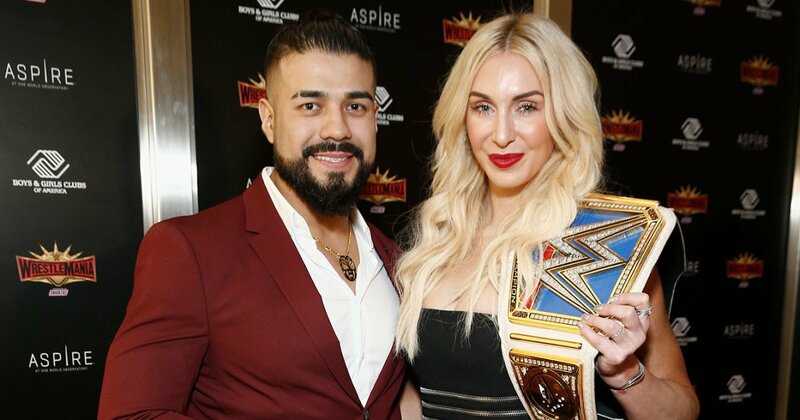 While Andrade and SmackDown Women's Champion Charlotte Flair appeared together on the red carpet for the Superstars For Hope event on Thursday night, Flair said their official coming out to the WWE Universe was at the WWE Hall of Fame Induction Ceremony last night in Brooklyn. Flair and Andrade walked WWE's red carpet together and they were interviewed by Charly Caruso. They joked about being an item and Flair called this their official coming out. As seen below, Andrade also tweeted Charlotte today and wrote that tonight is "her night" as she faces Ronda Rousey and Becky Lynch in the main event of WrestleMania tonight.